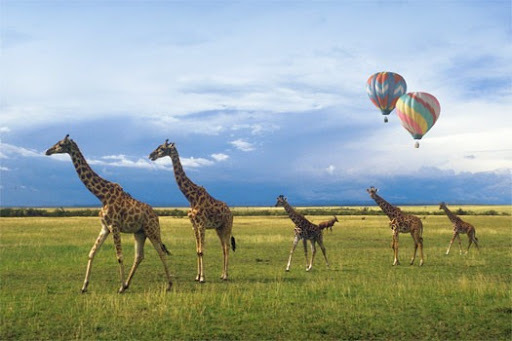 Probably the most beautiful balloon flight in the world and the exciting Safari Experience. 5:00 am, Serengeti Balloon Safaris will collect you from your central or western Serengeti lodge or camp, and transfer you by Landrover to our launch site near Maasai Kopjes. Here you will meet your pilot, receive a briefing and watch the inflation of your balloon. At dawn we take off, rising as the sun rises and float in whichever direction the winds of the morning take us. Your pilot can precisely control the altitude of your balloon: sometimes flying at treetop height, sometimes lower, offering a unique perspective and great photographic opportunities of the wildlife below. The flight is for about one hour depending on conditions, on landing you celebrate in the traditional manner with champagne (well, an excellent sparkling wine), before sitting down to a full breakfast prepared and served in the bush in ‘Out of Africa’ style with bone china, linen table cloths, King’s silver etc. After breakfast you receive your Serengeti Balloon certificate and we drive you back to Seronera Lodge game viewing enroute. 9:30 am Arrive at Seronera ready to continue your day’s activities.